Autumn is the perfect time to be undertaking essential lawn renovation, especially after a tough summer with prolonged drought and high temperatures. How do I renovate my lawn? 3. 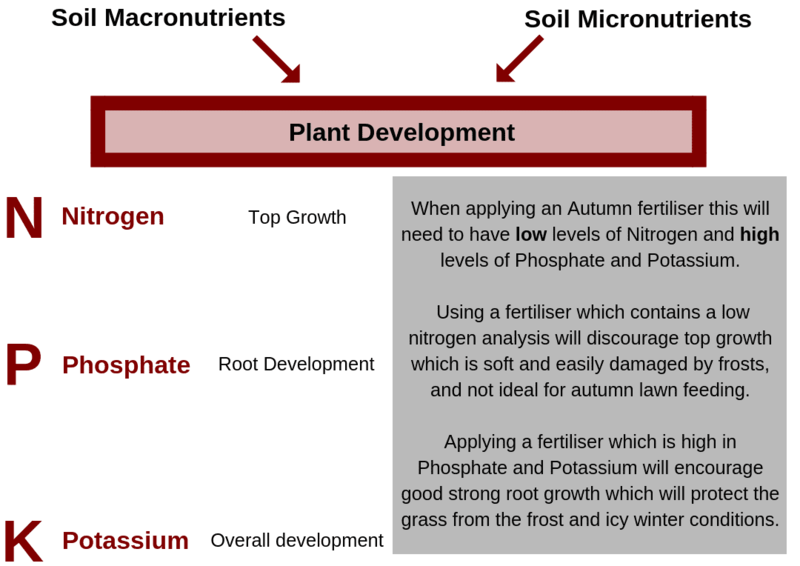 The lawn will then require fertiliser and nutrition. One of the key factors to a strong and healthy-looking lawn lies in getting the nutrition right to prepre your lawn for all seasonal variances. I is important to prepare your lawn through applying the correct nutrition in Autumn so that it can survive a harsh Winter, and come back in Spring with good root development and a strong sward. (such as NPK value of 7-7-7) or Farmyard Manure to give the bulbs the best start so your blooms are show stopping come Spring. want to encourage green growth which can be damaged by early frosts. Don’t forget about your bedding plants! You need to continue to feed them as summer bedding plants have lots of life left in them. planted your autumn pansies and Cyclamen these will also need to be fed regularly to get the best from them. temperatures so the sooner you can apply it the better. This will avoid spending all autumn and Winter staring at unsightly weeds. occur, such as black spot and mildew and will be thriving in the slightly damper conditions as the summer draws to a close.